The expat life offers many delights but one element I’ve found challenging? Being stuck in the role of a “trailing spouse.” Yes it’s 2015. And yes, this term is still used widely. Maybe it’s just my ego (I don’t necessarily excel at taking the back seat) but I think it’s more than that. It’s something to do with a sense of self and career being an integral part of identity and–sure–ego. What we do for a living is an inherent and (un)conscious factor in how we value ourselves— whether we judge it in terms of contribution to society or the money we make. When I stopped work I lost the measuring unit or reference point for judging the value of ‘me’. Love this post and plan to start following the Time of Tea blog – check it out! The first year is the hardest. I knew this—in theory—before I left the States, but reality was a lot harder than I imagined. I had planned everything to make the transition easier but it turned out that most of my plans didn’t work out. Part-time graduate school? Didn’t work out. Part-time job? Not when I was ready for it. Homesickness, discomfort, exhaustion – I experienced these on entirely new levels. 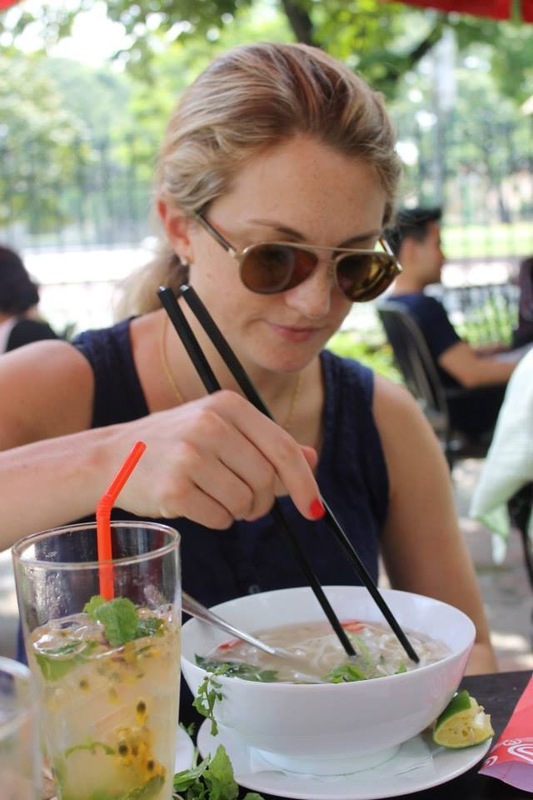 I’d lived abroad before moving to Hanoi and thought it would be no big deal, even though I was leaving my career, bringing my 2.5 year and 2 month olds along for the ride, and didn’t speak the language. Truth? I was so naïve, and the first year nearly did me in. The second year is so much better. Throughout the lows of my first year, several seasoned expat friends assured me the second year would be better. They were right. After the first year, I had friends, a routine, could communicate in basic Vietnamese, and things (cultural differences, directions, etc.) felt more normal and comfortable. Forget the “old me.” Abandoning the “old me” was hard, and I held on to it for a long time. I didn’t even realize how strongly ingrained my identity—full-time working mom who “did it all” despite the stress—was until I left it behind in D.C. All of a sudden I found myself in a new country, with two kids, no friends, and no job. And I was miserable for a while. I mourned “the old me” and obsessed about how to get her back. I realize now that I was grieving my old life, and it was a painful process. But after 1+ years of feeling sorry for myself, I took action and started making things happen. I embraced the new me. And when I did, it felt like someone had ripped off blinders I didn’t even know I was wearing! All of a sudden, opportunities started presenting themselves because I was open to them. The new me is still evolving, but I like her.Also, the more I talked with friends, the more I realized that the changes and challenges at this point in my career and family life were common and normal. It’s just that being abroad made them more emphatic. There was no old routine to fall back on and get lost in—just the hard cold facts staring me in the face. And it was up to me to address them. Communication is critical (and HARD). Communicating is entirely different with a 12-hour time difference. It requires thought, planning, and even some sacrifice (getting up early, staying up late). I thought it would be so easy with FaceTime, Skype, iMessage, etc. but the truth is, everyone is busy and unless you make communicating a priority, it doesn’t happen. I was pleasantly surprised by some of the people who made efforts to communicate (not necessarily those I expected) and it reminded me to be a better communicator. I’m a work in progress, but I have a new appreciation for family and friends that went the extra mile to keep in touch. Kids are more adaptable than I thought. In the “helicopter parent” world of American parenting (especially in the D.C. area of hyper-competitive everything), I succumbed to planning everything for my kids. I’m still a planner, but I’ve learned the lesson—the hard way—that the best laid plans can be disrupted (or chucked entirely). Like all kids, mine love their routines, but they also love experiencing new things and, after an adjustment period, can really thrive in new environments. They adapted faster to living overseas than I did! Amid the challenges, traveling with kids also brings an entirely new perspective. In no way was it always easy (turns out they don’t sell Children’s Benadryl at the Luang Prabang night market) and there were frustrations, scratches, mosquito bites, and tears (theirs and mine!). But I found that encountering new places, cultures, sounds, and tastes becomes more multi-dimensional with your kids in tow, because you experience things through their eyes. My former college backpacker self still independently revels in the walk over the swinging bamboo bridge or finding a quiet nook on a bend in the Mekong. But doing this with my daughters conveyed a whole new level of fulfillment and sense of discovery. This lesson isn’t unique to being an expat, but for me, it took moving halfway around the world to learn it.